As evidenced by the musicians, composers, lawyers and former financiers who are among the world’s leading wine educators, you don’t have to follow a predetermined path to earn a living teaching wine. For many, the role emerges as a synthesis of interests, talents and learned skills while others chart an intentional course with that specific goal in mind. While the definition of the job title wine educator varies considerably, the qualities of an effective educator are universal. In surveying wine educators, all of whom arrived at their current roles in different ways, their mindsets and skills have far more in common than their paths to success. Most wine educators possess a varied background of wine-related professional experiences, but succeeding in the role relies largely upon excellent communication skills. While not essential, academic teaching experience is desirable and can be particularly helpful with time management. In pursuing this rewarding career, educators can choose to be accredited by one of many highly regarded education organisations, such as the Wine & Spirits Education Trust (WSET)*, Court of Master Sommeliers (CMS), and the French Wine Scholar (FWS) among others, or to develop their own proprietary programmes. The benefits of accreditation are many: resources that include respected syllabuses and course materials, set learning outcomes, administrative support and a like-minded global community along with the marketing power of an established brand. By aligning yourself with an organisation like the CMS or WSET which offers courses through a network of Approved Programme Providers (APPs), you’ll also be subject to oversight through monitoring for compliance, administrative requirements and annual fees. Rhys Pender MW’s background provides a classic example, “I’ve been lucky to work in all aspects of the wine business from vineyard, winery, retail, wholesale and everything in between.” It’s fair to say that Pender came to wine education through food. “I caught the wine bug in 1998 while I was training at culinary school and I wanted to learn more,” he said. “I completed all of the WSET courses and then went after the Master of Wine.” Pender describes his desire to share his wine knowledge as a “logical progression”, one that was fuelled by his passion for wine and led to founding his own wine school, Wine Plus+, a WSET APP in Cawston, British Columbia, Canada. Everyone I work with is equally passionate about wine and wants to share their knowledge. There is no snobbery, just passion for learning and sharing. Mainland China’s first wine Master of Wine, Fongyee Walker, who co-founded and directs Dragon Phoenix Wine Consulting in Beijing, China, discovered she enjoyed teaching wine while studying for her PhD at Cambridge. “Teaching wine to new members of the Cambridge Wine Tasting team was more fun than teaching the finer points of translating Classical Chinese into English,” she said. Walker is now well positioned in a market where the appetite for wine education is growing rapidly. The time an educator spends in the classroom represents only one facet of teaching. Effective teaching requires adequate preparation and planning including writing or following curriculum, developing session plans, researching lectures and designing classroom exercises. Typically, a wine educator will spend three hours preparing for one hour of classroom teaching. James Gore, Principal at WSET School London, said “My greatest fear in the classroom is that I’ve not prepared enough, you know your students will soon sniff you out. Being prepared and confident in your presentation is essential”. In addition, you’ll most likely be attending staff meetings and be responsible for some level of direct correspondence with your students. If you’re approved to proctor examinations, you’ll also be coordinating testing materials and wines for blind tastings. Teaching wine is a physical job that can involve transporting cases of wine, cleaning and managing glassware, mastering audio visual equipment and setting up classroom tastings, “Wine tasting represents approximately half of the time in the sessions, yet setting them up is often undocumented preparation time.” If you are running courses alone then you need to set aside a lot of time to get this right and make sure you review the wines when the new vintage comes in” confirmed Gore. Attaining a role as an educator for a large distributor, importer or retailer typically requires industry experience, a certain measure of seniority and one or more high-level qualification. These could include the titles of Master Sommelier, Master of Wine, DipWSET, French Wine Scholar or Certified Wine Educator. Up to date information and the appropriate level of expertise required for the courses you want to teach and for your audience is a given. You don’t have to be a Master of Wine to instruct wine enthusiasts on proper tasting technique or to teach the characteristics of grape varieties but being well versed in your curriculum makes it far easier to lecture extemporaneously, engage students in dialog and to bring your subject to life. They must be good listeners as well as good communicators. Teach at the right level without being condescending. Be inclusive, so that no one is left out and the class progresses together. Wine education is, after all, adult education which has its own specific set of challenges. Students who work in the industry are particularly motivated when they can use what they learn to solve immediate problems. Dynamic educators know how and when to employ different teaching methods and learn which methods work best for them. By developing a teaching style suited to adult learners, one that teaches them how to learn the content, you become a far more effective educator. As in any academic teaching environment, professional development and the pursuit of continuing education are essential for all wine educators. “I believe the aim of life is to learn continuously and to improve one’s own knowledge,” said Walker, a sentiment that’s echoed by many educators. Always have in your mind ‘is it in the best interests of the student?’ and you will not go far wrong. The wine industry affords educators regular opportunities for continuing education by attending trade tastings, masterclasses, symposiums and technical conferences. Immersion study trips are offered through organizations including The French Wine Scholar, Court of Master Sommeliers and the Institute of Masters of Wine. Scheduling the time to take advantage of these opportunities requires a personal commitment to self-improvement. 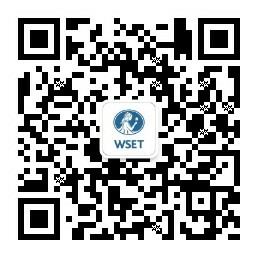 *All WSET Programme Providers are required to have a WSET nominated educator who must have completed WSET's Certified Educator Training Programme.